Rosalie Klein aka scubajap speaks with forked-tongue, but I am putting it here for ya'll to disseminate. and Freddy is related to who? And he has an alibi according to the police. The VIP is owned by a Dutchman who has lived on the island for 3 months. Well, I am confused as usual. LOL So are we to believe that Freddy's father is dead? In Venezuela? How does this VIP and INDO ownership fit with what Caps told us? Or is it all a lie by Scuba? Yep, still confused. Thanks vms...No Rebeca? SandraK said there was a Rebeca...LOL...and a Lissette in the US. No, but Rebeca Zedan is a friend of Johnny Enrique Zedan, Virginia A. Rahn Zedán, & Silvia Zedán, who are all friends of Sasha. Thanks TM…I guess it is true…anyone can join facebook! I am way behind the times…. And more importantly, for me anyways, is anyone going to have a shot at connecting all those names? Only if we believe scuba and Melody, not sure what date it was that Melody posted he was on his deathbed, but I think around September 3rd. Re: SHANGO/SIMIAN - who are they and what did they know? 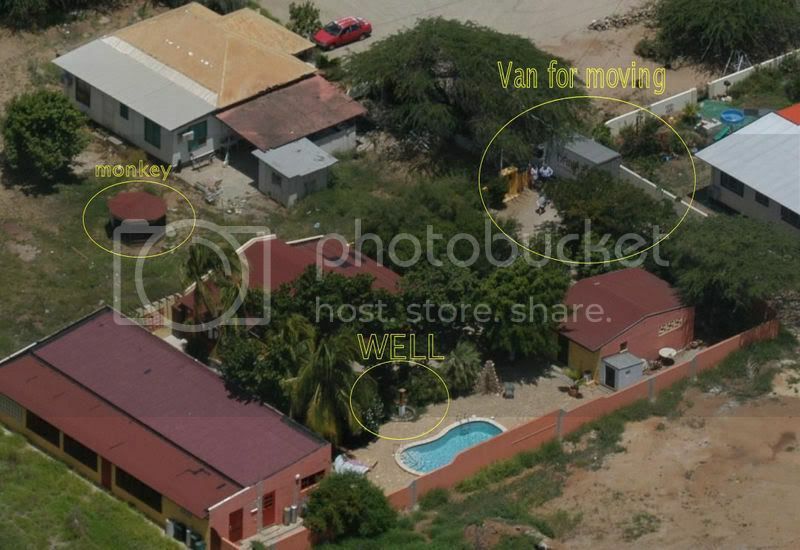 I am having a hard time putting Caps maps with the pics we have seen of the van der Sloot's house. I thought the neighbors were much closer? May just be that it is a drawing. There is a Lissette Clermont, friend of Rebeca's. If these caves are to become a tourist attraction they will need to be cleaned of trash, rubbish, garbage and other debris that has been left behind over the years. When my son went down in the caves there was signs that persons may have been living down there. There are illegal aliens on the island, so use extreme caution if you intend to visit the caves and certainly do not do so alone. I wonder if any of these caves are by Lorenzo VR's place? Was there any rumor or speculation about tunnels and his home? The basement? Back in the cobwebs of my memory, I seem to remember something about the Lago plant having many things left over from WWII that some speculated about...dumps, storage areas, etc. and I spoke to the lady that lives in the house next door-the one in the picture that is the so called "Lion's Den" and she didn't like be bothered very much, either. I find it very interesting that the Kalpoes cousin would be so hell bent on putting them back in jail, wouldn't you? LaLa's - the following Mansurs are friends on Chemaley's Facebook - Natessa, Elysha, Damilice, Miguel, Fernando, Davina, Izaira. Does anyone have the names and ages of Jossy's children? Mum - I thought you might be interested in the Maricaibo connection. More for Mum. I hope something here will help you. CFO HFS North America at GE Inc.
Current: CFO HFS North America, GE Inc.
- Delegación Maracaibo, y que por el Ministerio de Transporte y Comunicaciones registra a nombre del ciudadano ZEDAN VELAZCO JOSE, titular de la cedula de identidad N° 10.412.154. Licenciando en Ciencias y Artes Militares A.M. V. Año 1973, Ingeniero en Sistema Escuela Superior. Argentina Año 1980, Programa Avanzado de Gerencia IESA Año 1983, Se desempeño como Director de la Academia Militar de Venezuela Durante los años 1996-1997 y 1997-1998, y fue Presidente del Instituto de Previsión Local de las Fuerzas Armadas Nacionales. Sus hijos: Guillermo, Ada y Chichia Rahn Lara, Gloria, Helen y Reini Rahn Machado; hijos políticos: Rebeca Zedan de Rahn, Carlos Rodríguez Gómez y Nino Donzelli; sus nietos: Rahn Zedan, Briceño Rahn, Rodríguez Rahn, Rahn Pashen y Donzelli Rahn; sus cuñadas, sobrinos demás familiares y amigos. His sons: William, Ada and Chichi Rahn Lara, Gloria, Helen and Reini Rahn Machado; political children: Rebecca Zedan of Rahn, Carlos Rodriguez and Gomez Nino Donzelli; their grandchildren: Rahn Zedan, Briceño Rahn, Rodriguez Rahn, Rahn Pasha and Donzelli Rahn; their sisters, nephews other relatives and friends. Hecho acaecido en la ciudad de Maracaibo, el día 26 de septiembre de 2003. Done occurred in Maracaibo, on September 26, 2003. Se efectuará una misa por su eterno descanso el martes 30 de septiembre, a las 6:30 pm, en la Capilla Santa Ana, Av. There will be a Mass for his eternal rest on Tuesday, September 30, at 6:30 pm in the Chapel Santa Ana, Av. Principal de La Lagunita, con calle P3-3 El Portal. Principal of La Lagunita, with street P3-3 El Portal. Jossy's daughter just got married a few weeks ago..There was pictures and a full write up I believe at Arubatoday. I went back to copy it but couldn't access the archives. Gijs Vant proves if you "Aint Dutch, you Aint Much"
PALM BEACH - Recently, the most popular bartenders on the island went head to head in a super hot competition against one another for the coolest cocktail on the island. Last Friday night, thousands of spectators participated in a taste contest for the best island cocktail at Paseo Herencia Mall across from the Holiday Inn Sunspree Resort. Some absolutely marvelous cocktail concoctions were created by some of the finest bartenders on the island. Hands down the most popular drink of the night was the "Aint Dutch, Aint Much" cocktail by Gijs Vant of MooMba Beach Bar and Restaurant. A close runner up was the popular bartender Natasha Zedan from Marriott Hotels with her "Aruba Pink Passion". Bartender Lee Croes of Mr. Jazz came in third place with his delicacy "Rose Fall" closely followed by Bartender Gregory Rasminj of Mr. Conga with his namesake "Mr. Conga". Bartender Victor Calmes of Mathew's Restaurant finished in 5th place with his popular "Bull Kiss". Yes, that's why I posted it. That and the fact that she is also listed as Sasha's friend on facebook, or at least someone with the same exact name. Maybe Caps needs to check the database again. Page created in 10.126 seconds with 19 queries.